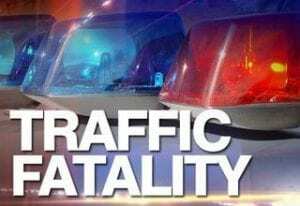 DAHLONEGA, Ga. – An early-morning, two-vehicle crash on Morrison Moore Parkway one-half mile north of Pink Dogwood Lane claimed the life of a 56-year-old Dahlonega man today (July 6). An incident report filed by Georgia State Patrol Post 37 indicates that Joseph Angelo Chiero was killed when his Hyundai Sonata was struck head-on by a Toyota Camry driven by Margaret Riches, 26 also of Dahlonega. The report states that Riches was driving north on Morrison Moore and, for an unknown reason, crossed the center line and struck the Hyundai head-on. The Sonata traveled onto the west shoulder and overturned onto its left side. Chiero was not wearing a seatbelt and was partially ejected. He was pronounced dead at the scene. A third vehicle, a 2017 Chevrolet Cruz driven by Mr. Brandon Roscoe Nix, 36 of Dahlonega, was traveling south on SR 9 and struck several large pieces of the crash debris. He was uninjured. Riches was transported to Northeast Georgia Medical Center with non-life threatening injuries. She was charged with failure to maintain lane and second-degree vehicular homicide.